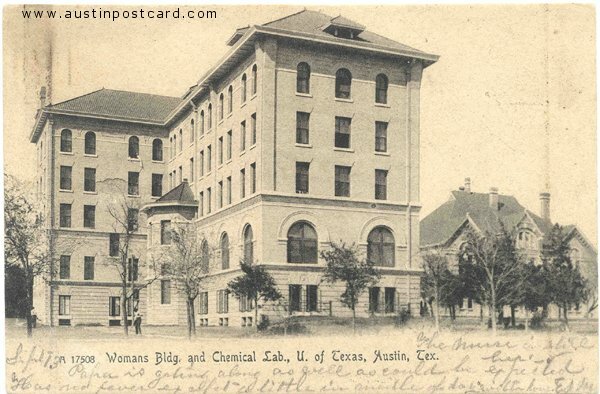 AustinPostcard - Womans Building and Chemical Lab, U. of Texas, Austin, Tex. Womans Building and Chemical Lab, U. of Texas, Austin, Tex. Postmark: SEP 13 3-PM 1906 AUSTIN TEX.